My students are presently scripting their short films for the 'Understanding Cinema' project. I thought of using this opportunity to list some of greatest short films in the history of cinema. All movies mentioned here are 40 minutes or shorter in length, as per the Academy's definition of a Short Film. I have also searched for these movies on YouTube or elsewhere on the net, except for a couple of them that I could not find. Click on the movies to watch them. And share your comments. I got one website, where mostly short movies and screenplays in written script are uploaded on daily basis by aspiring creative talent. May be it'd be quite useful for some of people. And i can assume, that you should have been known to it.. Here's it..
http://labs.triggerstreet.com/t movies and screenplays in written script are uploaded on daily basis by aspiring creative talent. May be it'd be quite useful for some of people. And i can assume, that you should have been known to it.. Here's it.. Watched 'The Meshes of the Afternoon' - surreal stuff, and 'Un chant d'amour' which is very explicit, but beautiful. And thanks Umesh for the link. 'Rose Hobart' was difficult to watch. But could appreciate why it is considered great. It is possibly the first 'fanvid' - the director was a fan of actress Rose Hobart. By taking shots from her movies (mainly one movie called 'East of Borneo') he created this montage without any narrative. 'Land Without Bread' is incredible, despite the poor video quality. Could not appreciate 'Listen to Britain' much. 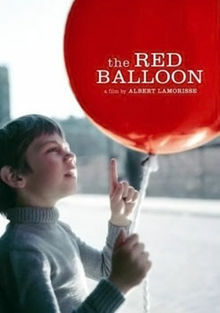 But my favourite among these is 'the Red Balloon'. What a movie! Everyone from the age of 6 to 60 is going to love this. Amazing stuff. I'm almost considering to recommend it as a Must-Watch before you die.... This movie is the only short film to have won an Oscar outside the category of short films. It won the Best Original Screenplay over Fellini's 'La Strada'!